In Green School we appreciate and value the diversity. However, we are searching for a set of attitudes in each possible co-worker, either as a volunteer, an intern or an employee. We appreciate the persons motivated to learn how to do their job, and able do it well. We love when they are autonomous, self-managed, action-oriented and with self-confidence – we respect when a person has initiative and is willing to take chances (more than once), trusting themselves. We are hard working and we look for people that share this attitude while being passionate, ethical, honest, modest, upbeat. When we are thinking at our educators team, we imagine them as well prepared for the job (they master the pedagogy and their topic), creative, dedicated, adaptable, caring and compassionate, empathetic, kind, joyful, patient, trustworthy, organized, engaging. Green School is looking for excellent and highly motivated interns to work and learn in a training-based internship aimed to prepare the candidate to become educator in our establishment for primary school. This 4 months internship period is shaped to provide for a creative, hard working and engaging individual the set of skills necessary to work in a multi disciplinary and challenging field. Our mission is to create a sustainable learning environment for children, youth and their educators. GSR’s educators and teachers are the heart of our educational programme. They hold key roles and are both the most influential actors and the face of our establishment. Therefore, we are keen on training and forming the educators and teachers to the best of their abilities in order to make sure them comply with the mission and GSR’s ideology. Our aim is to provide you with tools and skills necessary to become part of the team at the end your internship. A successful completion of all the stages leads to high chances of being offered a full time job opportunity with at least 1 year contract in the kindergarten or primary school. 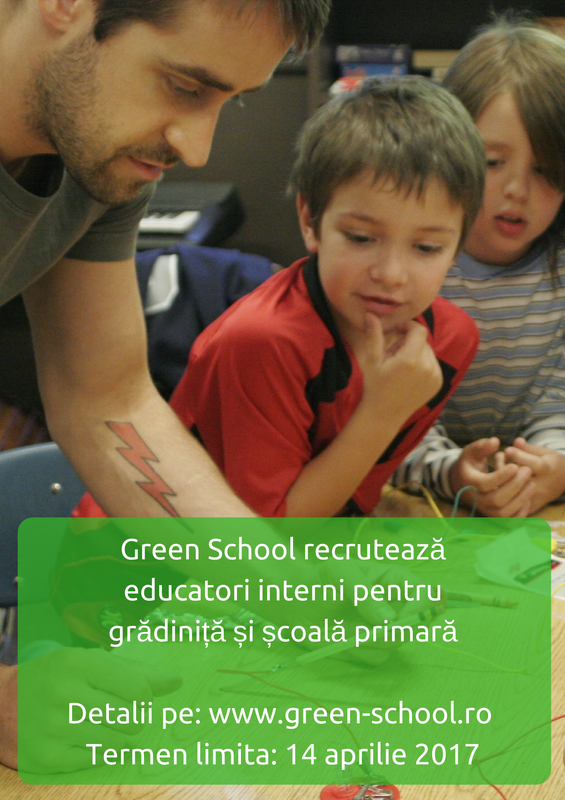 Submit your CV and Cover letter (both in English) via email to nadia@green-school.ro by the 14th of April 23:59 (applications that are incomplete or are not sent before the deadline will not be taken into consideration). Interviews will take place on 18th & 19th April (successful applicants will be contacted via email / telephone with details). Facilitate a session with a group of children on the 21st of April. Final results and internship offer: 22nd of April (successful candidates will be contacted via telephone). 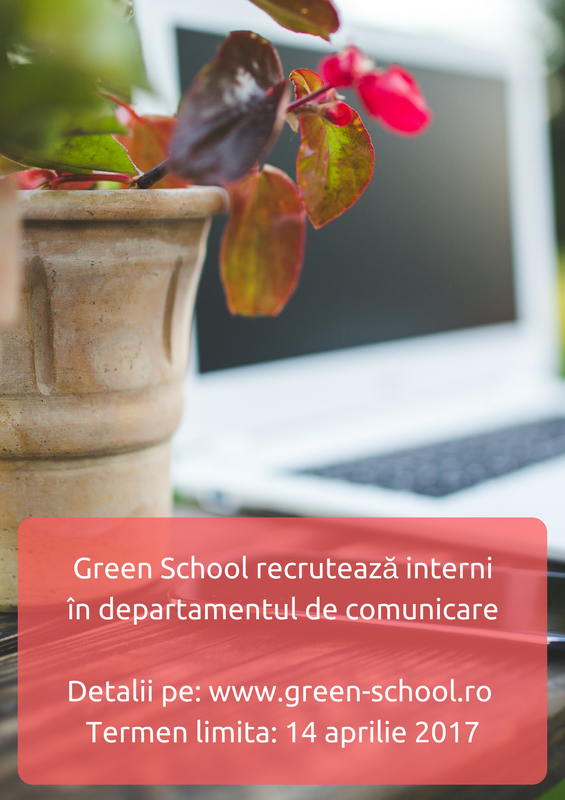 Green School is looking for creative and highly disciplined interns to work and learn in a training-based internship aimed to prepare the candidate to become communication specialist in our organization. This 6 months internship period is shaped to provide different skills necessary to work in a multi disciplinary and challenging field. Our mission is to create a sustainable learning environment for children, youth and their educators and we need people able to communicate to other what we are doing. As a start-up, Green School needs amazing communicators. Our aim is to provide you with tools and skills necessary to become part of the team at the end your internship. A successful completion of all the stages leads to high chances of being offered a full time job opportunity with at least 1 year contract in our organization. Submit your CV, Cover letter (both in English) and 2 articles (in Romanian): 1st about one of our events that already took place - for the "blog" section (you can add or extract elements, no need to be 100% accurate with the facts) and the 2nd about an event that is about to happen - for the "știri" page. 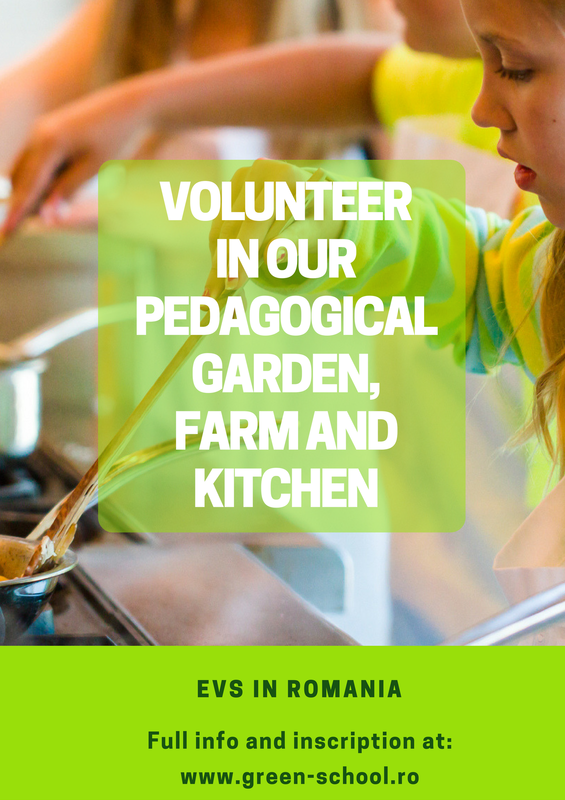 Send all the 4 documents via email to nadia@green-school.ro by the 14th of April 23:59 (applications that are incomplete or are not sent before the deadline will not be taken into consideration). Final results and internship offer: 21st of April (successful candidates will be contacted via telephone). 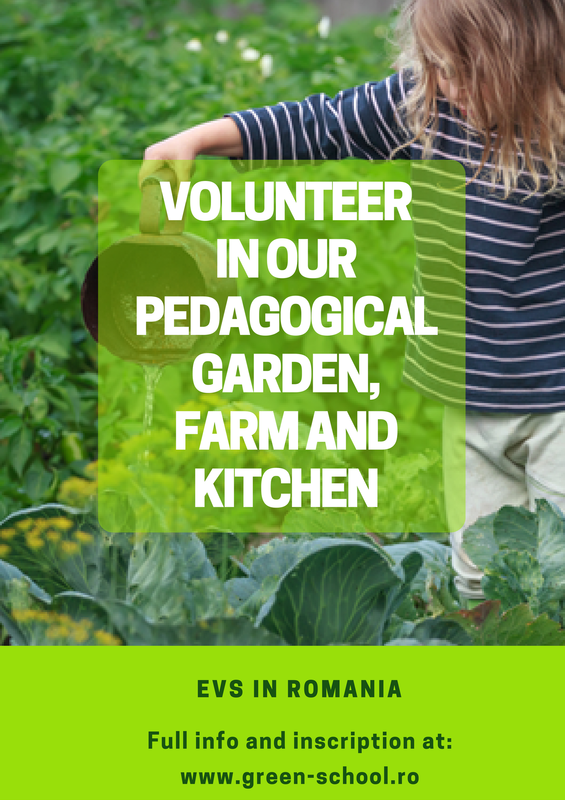 Green School is looking for disciplined, mature, independent and open to foreign cultures volunteers to work in a pedagogical garden, a pedagogical farm and a pedagogical kitchen in ﻿Cluj-Napoca﻿. contribute to the children's lessons about how live a healthy life. able to work with children. find out the results of the selection here, on our website (also on your email) on 16th April 2017. Notice: after selection you will start working with the Green School team on the adaptation of the project (to fit you better). The project will be applied on 26th April for Erasmus Plus financing. If everything goes ok (the project will receive funding from the E.U. ), you will start your service in October 2017 or March 2018 (according to your decision). Find out more about Cluj-Napoca and Romania HERE. Stay connected and interact with us on our facebook page.